". . . the single best volume on the subject." —Fred Cohen, Esq., author, The Mentally Disordered Inmate and the Law, 2nd ed. Jails were never intended to replace mental health care facilities— yet today that is the reality for many jails. Every year, tens of thousands of people with mental disorders—many with serious and persistent forms of mental illness—are housed in American jails. Even if many of these individuals are eventually transferred to mental health care facilities or to community programs or to prisons, jail officials have a duty and obligation to provide an appropriate level of care and treatment for inmates—and to make sure they do not compromise jail safety and security—during the time they are in jail. Management and Supervision of Jail Inmates With Mental Disorders, 2nd Edition is nationally recognized as the foremost guide to best practices for planning and implementing a good mental health services delivery system. 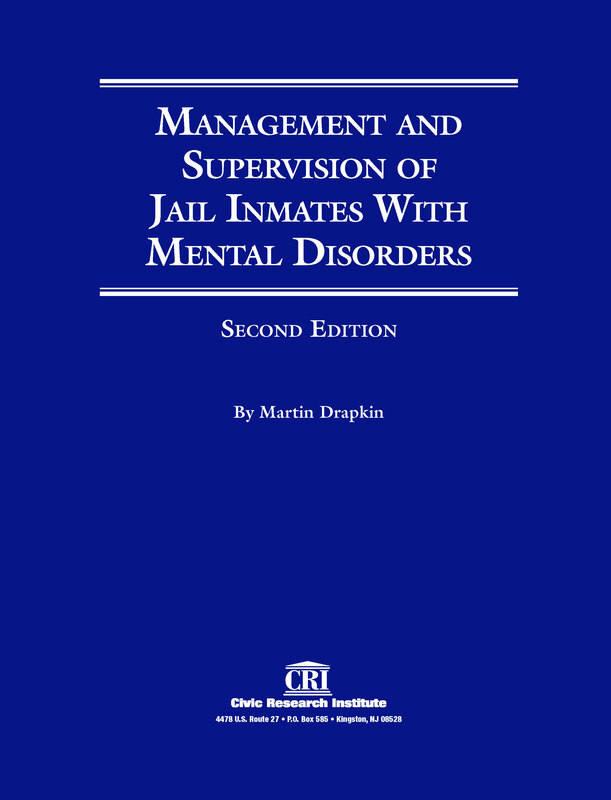 It focuses on all the key management issues jail administrators and mental health professionals must understand and deal with, from screening and classifying inmates for mental disorders, to writing policies, training staff members, protecting inmates and staff, and preventing suicides. Establish a workable system to ensure that inmates receive appropriate professional treatment both within the jail and outside of it. What are the key indicators of such serious mental disorders as major depression, bipolar disorder, and schizophrenia? How should line officers respond to inmates who seem to be experiencing hallucinations or delusions? How can you use behavior management plans to manage difficult, acting-out inmates? What are the key elements of a comprehensive jail suicide prevention program, and how should these be incorporated into written policies and procedures? When and how should jail staff refer inmates to medical or mental health care professionals? Why is discharge planning important for inmates with mental disorders, and what are the key elements of an effective discharge plan? What should be covered in written policies and procedures on a jail mental health services program, including a suicide prevention program? How should you use national jail standards in the development of policies and procedures on mental health care services?